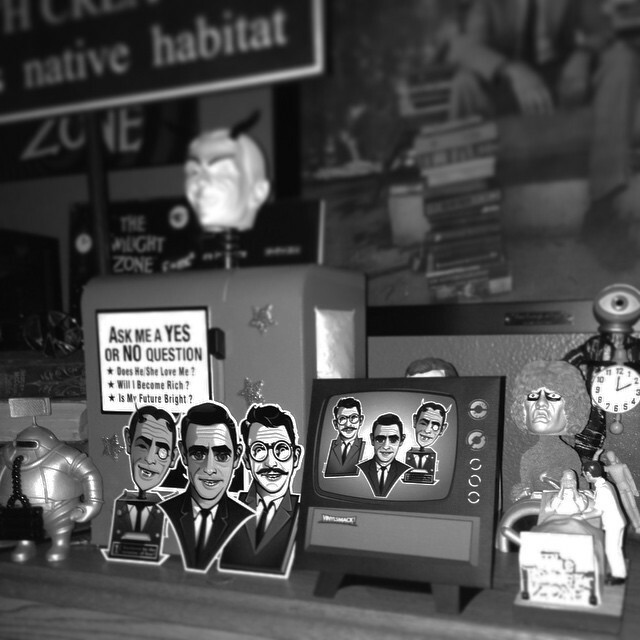 Check out our "3 Rods" die-cut sticker set with the special edition TV set with the amazing Twilight Zone Collection amassed by @vukcevich . Also, keep scrolling for his photo shoot as Bemis from The Twilight Zone episode, "Time Enough at Last." Awesome stuff!!! Thanks to @powerandair for posting your setup of our "3 Rods" Special Edition Set! Looks great! Customer Review: "These are super cool, thank you @vinylsmacked keep up the great work!"